Local college students are gaining vital work experience and helping to modernise Calderdale Council through new digital technology, thanks to a project between the Council and Calderdale College. 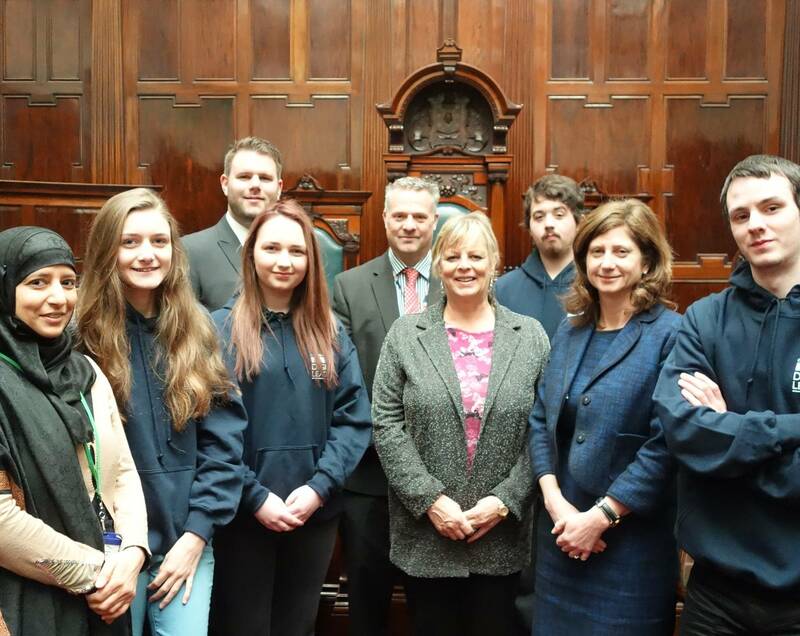 The Council invited students from the College’s Digital Leaders programme to work with its Workforce Development team for a day a week until the end of June. The aim is to boost their skills in a working environment whilst sharing their talent to create new ways of working in the Council, including the use of multimedia for communicating, training and personal development. The students are building skills in areas such as project management, and their work will go towards their course assessment. They are developing videos and multimedia solutions for the Council to use at no cost. The Council plans to open up more opportunities for students to work with a wider range of departments in the future, to help increase work placements for young people and improve service delivery for residents. This entry was posted in Council and democracy, Digital, Education and learning. Bookmark the permalink.